One lone voice of some Pastor Jones of a small congregation in Florida with only about 50 followers disturbed the minds of million in the world. 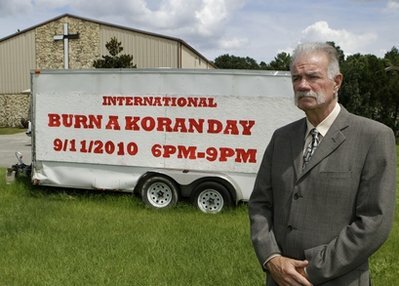 This man wanted to remember 9/11 victims by burning copies of Quran today. Quran or Koran is the holy book of Islam. Why are you burning Quran? Quran is not Bin Laden’s Diary or his preaching. 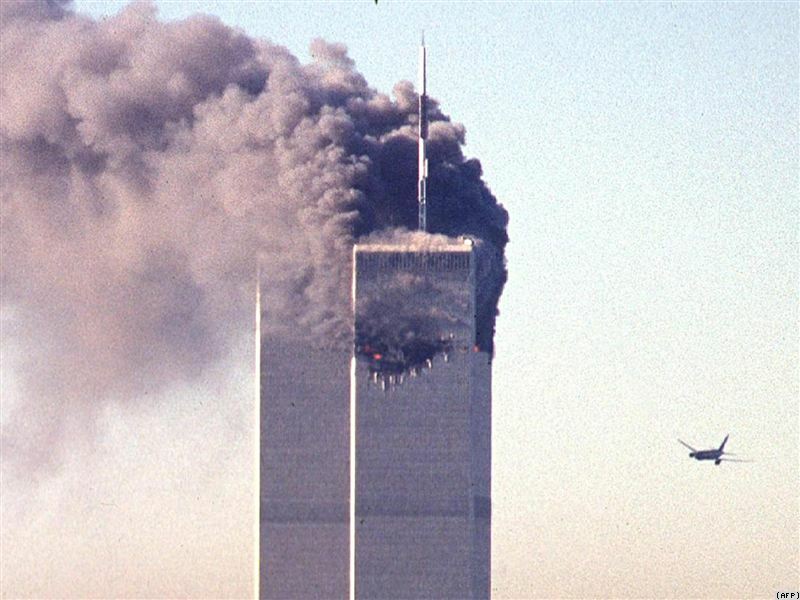 Quran is the holy book of Islam and Islam wasn't responsible for 9/11. Terrorists were Muslims but all Muslims are not terrorists. You can’t hate all the mothers in the world just because your mother ill-treated you. If you really want to burn it do it in the corner of your house and stop creating unrest in the world. You are a bad man. You are not different from terrorists; they misunderstood Islam and your misunderstood Christianity. Muiz Nasrallah wrote in Facebook, "You may burn thousands, millions of Koran, but you cannot burn our religion." and I say yes, Quran is just a book, faith is all that matters. Why make big issue out of a crazy man’s plan. It is all about being hyper-reactive; we don’t tickle a person on the forehead, we do under his arms because that part reacts. It’s a good chance to show to the world that Islam is not what they think, Islam is tolerant and Islam loves peace too. People have burnt Buddhist temples and bombed Buddha’s statues but nothing happened, so they were bored and they bombed no more. Media is responsible for the unrest. Otherwise what difference would one man with 50 followers matter in the world so big? Why did they make his crazy plan hot news? If it was not broadcast, no one would know and nothing would happen. I was in Drukgyel High School when the Twin Tower came crumbling down, which triggered the war in Afghanistan; nine years on today so many people were killed and what have we got? There should be a better way to remember 9/11! P:S: Today is the last day of the holy month of Muslims. Muslims labour working in Bajo Construction took our school's big speak for their prayer ceremony. Wish them good day! 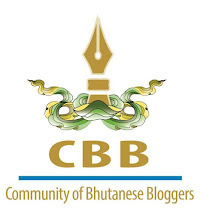 My colleague from Global Voices wrote this piece and mentioned you. Thought you would be interested. That was nice! !let him burn all quran books in the world, but he must remember that Quran kept in muslim heads/hearts, and we can write it back as it is with no mistakes, unlike bible!! Abbie, thank you for reading my blog and thank you so much for accepting what is there. But I wish you didn't write the last two words...(unlike Bible) because Bible is not Pastor Jones book. My King and I- The Best Moment of my Life.